Spring is warming up the state, and summer is fast approaching. Between the mountains and the beach, there’s plenty to get you and your family outdoors. But have you considered visiting one of the many waterfalls in our great state? 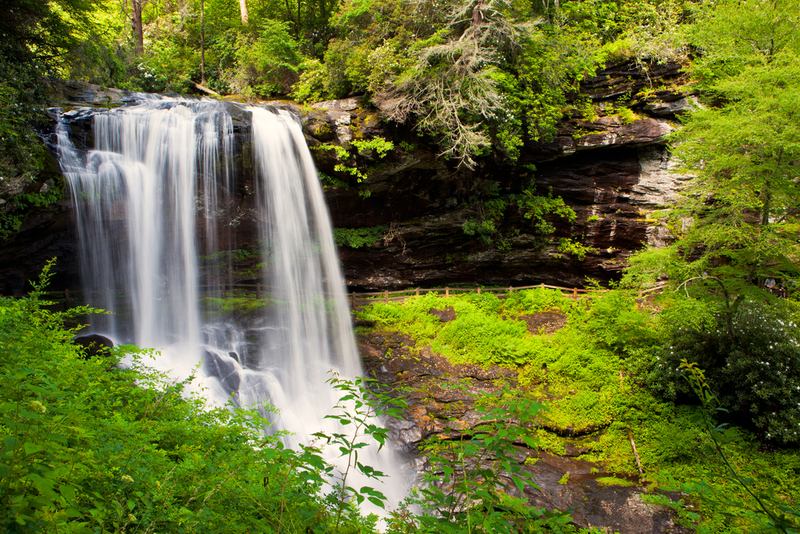 North Carolina is home to more than 250 waterfalls, but most of us will never visit all of them. It’s true, it’s hard to make a decision when you’ve got so many choices. 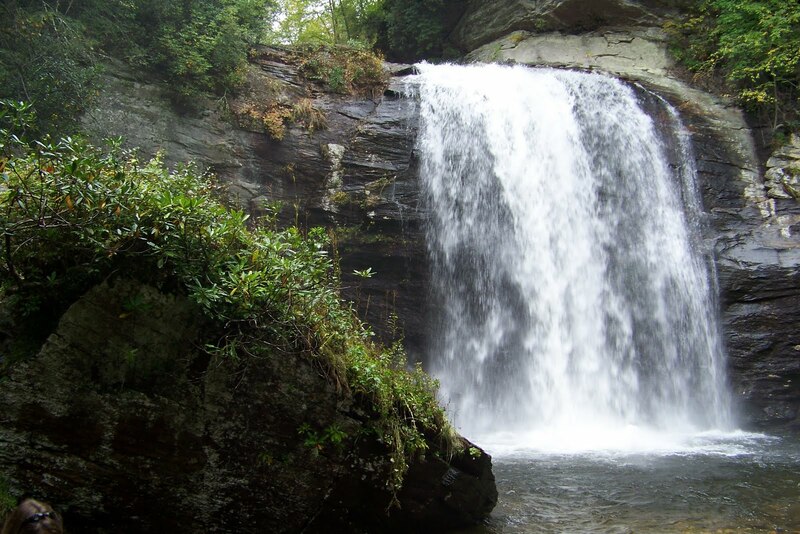 So, to help you out, we put together our top waterfalls in North Carolina. Our criteria was simple: To make the list we wanted each destination to strike a balance between scenic views, accessibility, and kid friendliness. And of course to try and give all the regions of this gorgeous state their due. 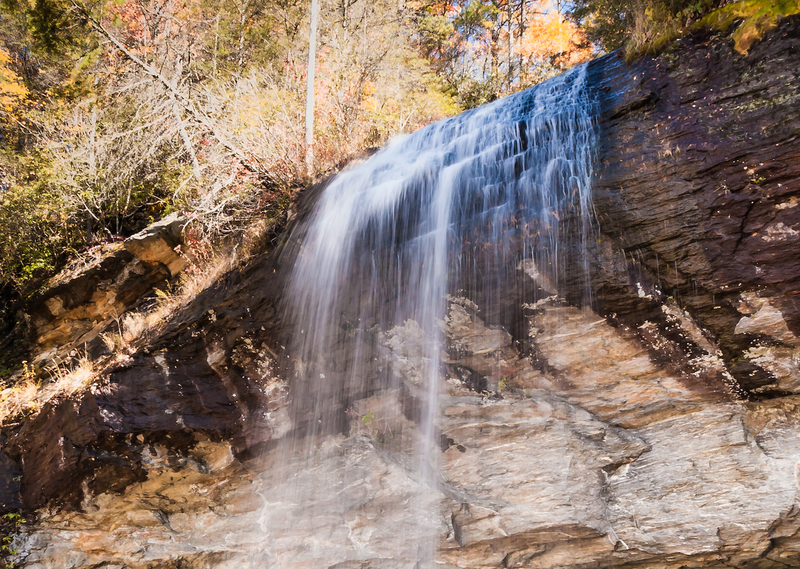 So without further ado, here are some of the best waterfalls in North Carolina you can visit. 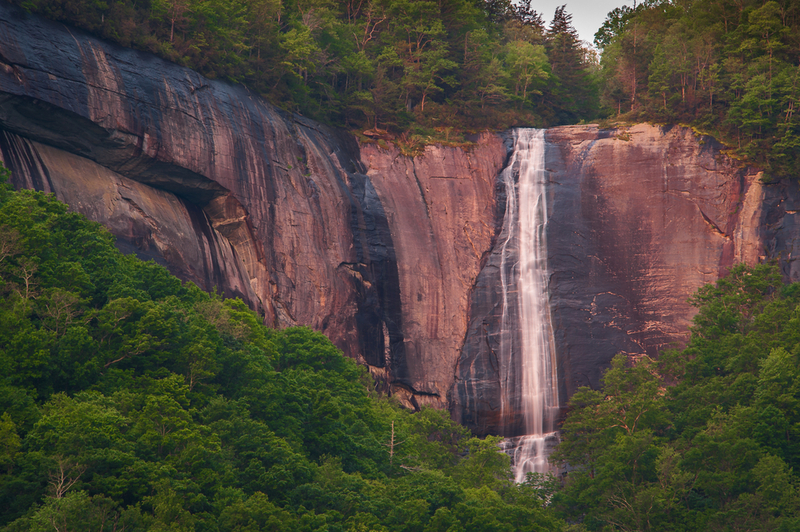 Hickory Nut Falls is a 404-foot waterfall located in Chimney Rock State Park. One of the highest waterfalls east of the Mississippi River, Hickory Nut was a filming location for the movie The Last of the Mohicans. The falls are accessible via a gentle three-quarter-mile walk on the Hickory Nut Falls Trail. The shaded path makes for a cool hiking experience, and you can reach the falls in about 30 minutes. Leashed pets are welcome to join your day at the falls. 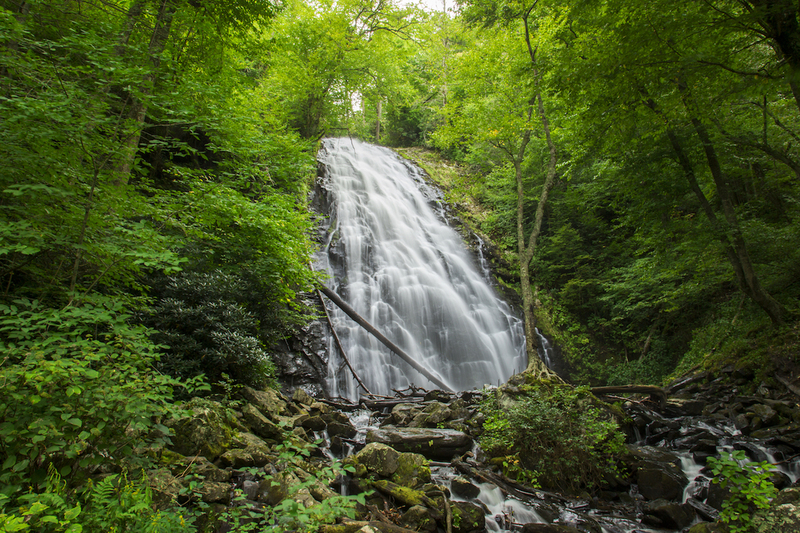 If you are looking for a hike with a rewarding view, consider Crabtree Falls, a magnificent 70-foot waterfall that can be accessed by a moderate 2.5-mile hike along Crabtree Falls Loop Trail. This popular hike starts in a Blue Ridge Parkway campground. You’ll climb up a steep hill at first, and then hike a smooth trail next to the stream. Dubbed the most photogenic fall in the area, Crabtree Falls offers a view that will not disappoint. You’ll be hard pressed to find a true waterfall in Central to Eastern North Carolina. 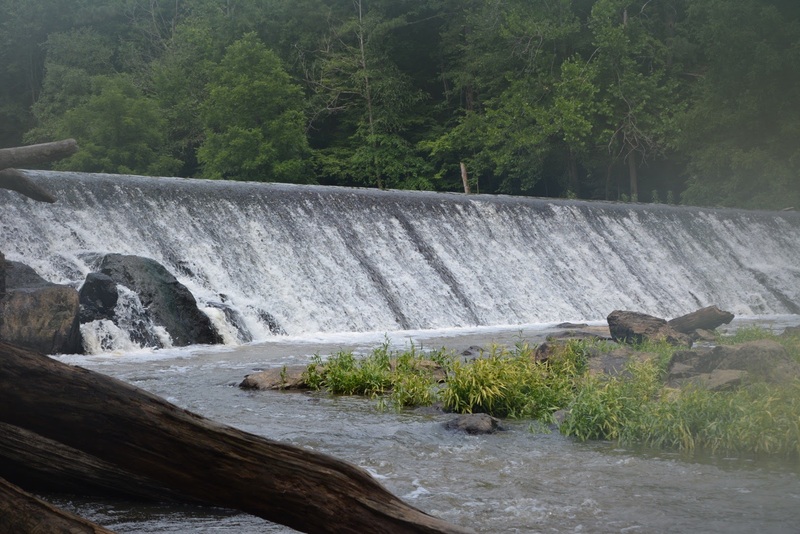 But for those who can’t make it to the mountains the West Point on the Eno River in Durham has a picturesque dam centrally located in the park. The dam is close to a canoe launch and right below the dam is a nice swimming spot to wade through the water and soak in the beauty. It also offers more than 10 miles of hiking trails, a restored grist mill, a photo museum, a picnic area and a swimming hole called Sennett’s Hole. Perfect for kids, dogs, photographers and sightseers. This 75-foot waterfall is right off of U.S. 64 near the North Carolina-Tennessee border and has various viewpoints, as well as observation decks off the highway. Dry Falls is located in the Nantahala National Forest, and a rainbow is visible at certain times of the day. You can drive along the highway for about 8 miles and see a handful of other falls. Dry Falls got its name because you can walk behind the fall and stay dry! This roadside waterfall is located just a few miles away from Dry Falls near Highlands. It is just feet from the road, so no hiking is required. The fall is beautiful for a photo opportunity and is fun to walk under. Fun fact: This is the only waterfall in North Carolina that you can drive under! This is a great fall that is often overlooked. If you are not a Boone or Banner Elk local, you may not know about it. 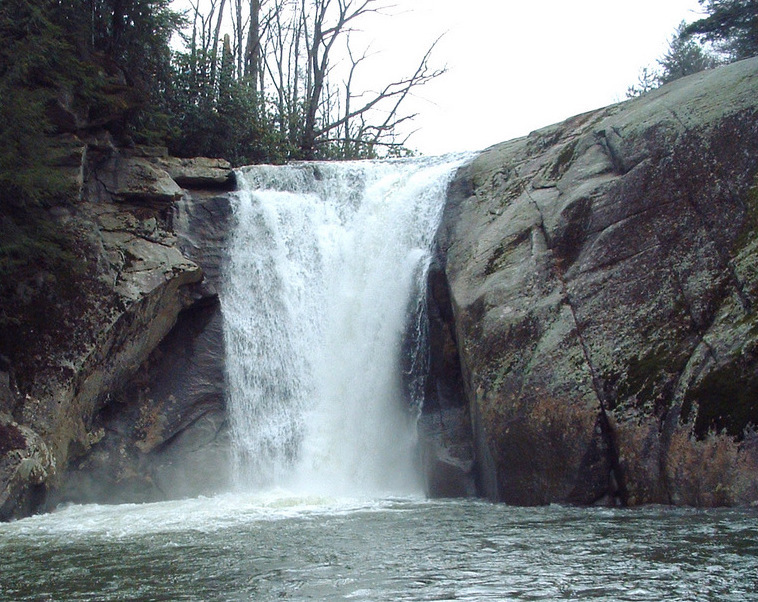 This 60-foot fall is located near the North Carolina-Tennessee border. It is a hot spot in the summertime for picnics and all-day fun. Easy entry and exit into the water makes it perfect for kids. The parking lot is close by but hidden from the road. Top image: Shutterstock. Dry Falls, Elk Falls, and Eno River pic via James LaCorte. Elk falls By Wncoutdoors (NorthCarolinaWaterfalls.info) [CC BY-SA 3.0 (http://creativecommons.org/licenses/by-sa/3.0)], via Wikimedia Commons; All others via Shutterstock.